L'alba del personal computer non si poteva vedere dalle vetrate dei grandi edifici di IBM, Xerox o General Electric. L'inizio della rivoluzione digitale è senza brand e senza grandi investimenti, ma nasce semplicemente da un'idea: il potere del computer deve essere disponibile a tutti. I frequentatori dell'Home Computer Club di Menlo Park, nel cuore della Silicon Valley, erano talmente convinti di questo che erano disposti, pur di riuscirci, a costruirseli da soli. Lee Felsenstein, Fred Moore, Gordon French, ma anche Steve Jobs, Steve Wozniak e, almeno in spirito, Bill Gates, contribuirono alla realizzazione del sogno. 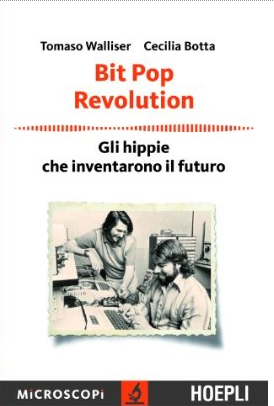 Questo libro racconta la storia di hippie, attivisti, pacifisti, ingegneri, fuoricorso, ma soprattutto di nerd, che tra la fine degli anni '60 e la metà degli anni '70 dedicarono tutte le loro energie a liberare il potere del computer per renderlo disponibile al mondo. Il resto, come si dice, è storia. Autori: Paolo Cognetti e co.
Anche se fortemente imparentata con l'ingegneria e le scienze più razionali, l'invenzione ci appare ancora oggi come un processo misterioso, quasi magico. Come per la magia, anche nel mondo dell'invenzione, la creazione del nuovo, del mai visto, dell'inaspettato, colpisce e spiazza il senso comune: da dove viene l'idea, qual è il trucco che la rende possibile? E così, gli inventori, oggi come nel passato, vengono percepiti come veri e propri maghi, a volte relegati dalla storia in ruoli da avanspettacolo e poi dimenticati, a volte celebrati come moderni eroi sul palcoscenico dell'innovazione. 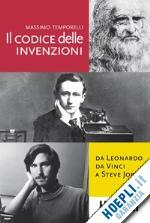 Questo libro, grazie a esempi concreti e a una accurata narrazione, svela alcuni 'trucchi' dell'affascinante e complesso processo dell'invenzione e spiega come è mutata negli ultimi secoli la percezione sociale dell'inventore, da Leonardo da Vinci a Steve Jobs, passando attraverso le avvincenti biografie di James Watt, Guglielmo Marconi e Thomas Alva Edison. Questo volume è stato realizzato con la collaborazione del Museo nazionale della Scienza e della Tecnologia Leonardo Da Vinci. Sapevate che il microprocessore- il “cervello" di tutti i dispositivi rigirali - è stato inventato da un italiano, Federico Faggin? Che la prima comunicazione integrata dati-voce è stata realizzata da una società fondata dallo stesso Faggin? Che un'altra società, sempre di Faggin, ha prodotto Io “schermo sensibile” dei telefonini e il touchpad da notebook? Se avete risposto “no" ad almeno una domanda questo è il libro per voi, perché vi troverete tutti i dettagli inediti della storia di successo di un italiano straordinario. Dal primo computer, costruito alla Olivetti a soli 19 anni, alla National Medal of Technology and Innovation conferitagli dal presidente Obama, dal microprocessore Z80, venduto nell'orco di tre decenni in tre miliardi di esemplari, alle cinque lauree honoris causa conferitegli da prestigiose università, questa biografia descrive le intuizioni, i successi e le difficoltà superate per perseguire con determinazione ed entusiasmo tanti importanti obbiettivi, con svariati dettagli e curiosità. Faggin ha avuto anche autorevoli candidature al Nobel, ultima delle quali quella di Rita Levi-Montalcini, che del libro ha scritto la prefazione. 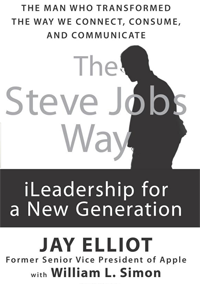 In iLeadership, Jay Elliot gives the reader the opportunity of seeing Steve Jobs as only his closest associates have ever seen him, and to learn what has made him--and the mystique of his management style--capable of creating tools so extraordinary that they have remade three industries and have transformed the way we create, consume, and communicate with each other. Jay Elliot worked side by side with Steve as Senior Vice President of Apple and brings us his deep insider perspective of Steve's singular iLeadership style--which encompasses four major principles: product, talent, organization, marketing. Jay shares the lessons that come out of Steve's intuitive approach to show how the creative and technological brilliance of iLeadership can be utilized to drive breakthroughs in any organization, irrespective of size. "The entire conversation took five minutes. When it was over, Bill and I looked at each other. It was one thing to talk about writing a language for a microprocessor and another to get the job done . . .If we'd been older or known better, Bill and I might have been put off by the task in front of us. But we were young and green enough to believe that we just might pull it off." Paul Allen, best known as the cofounder of Microsoft, has left his mark on numerous fields, from aviation and science to rock 'n' roll, professional sports, and philanthropy. His passions and curiosity have transformed the way we live. In 2007 and again in 2008, Time named him one of the hundred most influential people in the world. Some revolutions are thoroughly televised. When Douglas Engelbart first demonstrated small-w windows and a funny wooden device called a mouse back in 1968, interest jumped quickly and he became the progenitor of the PC. Now, less widely known than the successful entrepreneurs who made billions from his innovations, his story deserves deeper attention as an outstanding example of practical creative research. Communications professor Thierry Bardini examines the scope of his work before and during his tenure at the Stanford Research Institute in Bootstrapping, a thoughtful history of an underreported story. 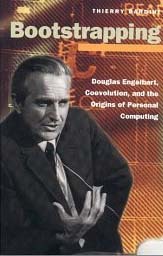 Bardini cleverly sidesteps the postmodern superanalysis of his colleagues to present a clear, straightforward glimpse into Engelbart's environment of inspiration. As an engineer familiar with the earliest computers, he quickly came to understand that their complexity could rapidly outpace human ability to cope--and thus was born the concept of the "user." His team used their computing power to determine how best to use their computing power--a reflexive assignment of profound brilliance--and churned out novel concepts and designs faster than their contemporaries could absorb them. Name the most successful companies over the last 10 years, and you'd be remiss if you didn't mention Microsoft. Guided by the unique--some would say maniacal--personality of founder Bill Gates, Microsoft has grown faster and touched more lives than just about any other company in recent memory. Over the years, the software giant has been dogged by competitors--mainly in backrooms and courtrooms-- and by the government on charges of unholy monopolies, predatory practices, and stifling innovation in the PC industry. As the government's ongoing antitrust case against Microsoft goes to trial, this critical chorus grows even louder, led in part by Wendy Goldman Rohm's book, The Microsoft File. This is the book that Microsoft doesn't want you to read. With the help of "insider" information from both Microsoft and the government, Goldman Rohm surveys the history of Microsoft's business practices with PC manufacturers and software vendors. Tracing the development of the government's antitrust case against Microsoft, starting at the FTC and continuing on at the Justice Department, she paints a harsh and unforgiving picture that's not at all flattering to Gates or the rest of Microsoft's top brass. The Bill Gates that emerges from these pages is small, petty, and deeply paranoid. At the same time, she puts a face on the Justice Department that's never been seen before. 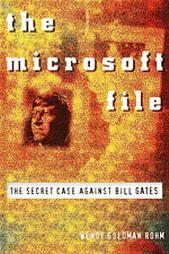 For those who revel in examining the dark underbelly of America's most successful company, The Microsoft File is a required and enormously entertaining read. It's also a useful primer for anyone interested in the government's antitrust efforts. Highly recommended. --Harry C. Edwards --This text refers to an out of print or unavailable edition of this title. Ask consumers and users what names they associate with the multibillion dollar personal computer market, and they will answer IBM, Apple, Tandy, or Lotus. The more knowledgable of them will add the likes of Microsoft, Ashton-Tate, Compaq, and Borland. But no one will say Xerox. 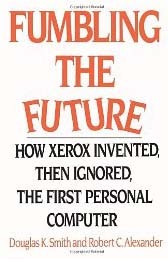 Fifteen years after it invented personal computing, Xerox still means "copy." Fumbling the Future tells how one of America's leading corporations invented the technology for one of the fastest-growing products of recent times, then miscalculated and mishandled the opportunity to fully exploit it. It is a classic story of how innovation can fare within large corporate structures, the real-life odyssey of what can happen to an idea as it travels from inspiration to implementation. If you want to understand how the Apple fairy tale began in the seventies, then iWoz is a must read. This is the personal story of Steve Wozniak, inventor of the Apple computer. This book explains the long process that led Wozniak to create the first affordable computer, how he met Steve Jobs, and how they founded the Apple empire. 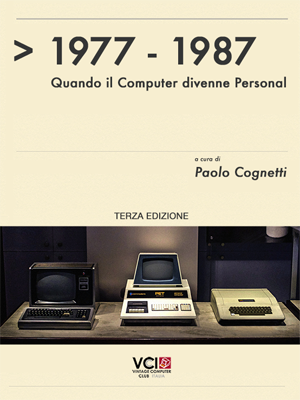 This easy-to-read book reveals a captivating story aimed at everyone interested by the debut of personal computing. The Google Story Does IT Matter? Founders at Work tells of the early struggles for independence and acceptance of many of modern technology's giants. Their stories are told through personal interviews that are at times hilarious, at times painful, but always inspiring. The personalities represented in this book are role models for all startup wannabes who are committed to their visions and want to know what the sacrifices (and excitement) are like. Storie appassionanti, vite straordinarie di dieci italiani di successo di cui Fiorella Kostoris e Gianfranco Rossi hanno raccolto le testimonianze. Biografie accomunate da una stessa vicenda: la scelta, inevitabile o perseguita, di abbandonare il Bel Paese alla volta degli Stati Uniti. Lì, nella Silicon Volley, hanno creato le loro imprese, hanno trovato i capitali per realizzare le invenzioni più sorprendenti dei nostri tempi e sono diventati a loro volta operatori di venture capital per incentivare le imprese di altri ricercatori. Il successo del mouse si deve, per esempio, a un italiano, fondatore della Logitech; grazie agli studi di un italiano è nata l'insulina artificiale, pietra miliare della biotecnologia. Italiani, dunque, popolo di creativi, di intelligenze brillanti e produttive nei più disparati ambiti della scienza, della ricerca tecnologica, dell'innovazione. Cervelli condannati o predestinati a un futuro da migranti? Di sicuro la costruzione pro-attiva del proprio curriculum professionale e la mobilità personale, quale paradigma della globalizzazione, sono oggi in Italia spesso frustrate e si declinano ineludibilmente in una vera e propria "fuga" di cervelli. Potrà mai l'Italia, strutturalmente caratterizzata nell'epoca contemporanea da una scarsa propensione al rischio, da eccessive burocrazie e politicizzazioni, da insufficienti investimenti nel capitale umano e nella ricerca, riuscire a fermare questo esodo di eccellenze e ad attirarne di esterne?